Centuries ago, a ship sank in the Java Sea off the coast of Indonesia. The wooden hull disintegrated over time, leaving only a treasure trove of cargo. The ship had been carrying thousands of ceramics and luxury goods for trade, and they remained on the ocean floor until the 1980s when the wreck was discovered by fishermen. 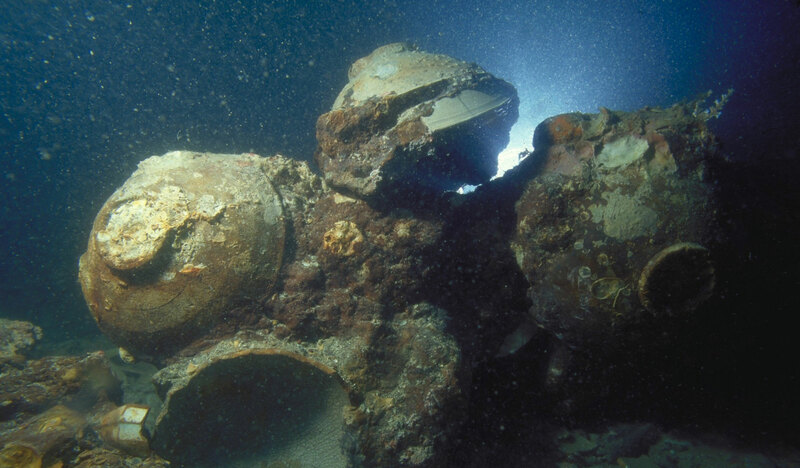 In the years since, archaeologists have been studying artifacts retrieved from the shipwreck to piece together where the ship was from and when it departed. The equivalent of a “Made in China” label on a piece of pottery helped archaeologists reevaluate when the ship went down and how it fits in with China’s history. The amount of decayed carbon found in the resins and tusks revealed that the cargo was older than previously thought. When taken together with the place name inscribed on the ceramics, stylistic analysis of ceramics from known time periods, and input from experts overseas, the researchers concluded that the shipwreck was indeed older than previously thought–somewhere in the neighbourhood of 800 years old.